Released several years after the original Peter Pan, Return to Neverland takes place during World War II. Wendy is now grown up and married with two children of her own, Jane and Danny. When Wendy's husband Edward goes off to war, he puts Jane in charge of taking care of the family. Jane takes her job very seriously and puts away "childish nonsense," such as stories of Peter Pan. After Captain Hook sneaks through Jane's window and captures her, Peter Pan has to save her and try to get her back home. This is actually one of the better sequels Disney has made. It was captivating and true to the original animated film. I was very impressed with these visuals! Usually, Disney's sequels are less-than-spectacular in the animation department. However, this film really tried its best to up the animation game. There were some parts I didn't like, such as a tacky combination of CGI and hand-drawn animation. However, I've never been a fan of Disney's CGI/hand-drawn hybrids (not counting Beauty and the Beast), so it may be just me. ☺ I also didn't like Jane's character design, but that's also a personal opinon. 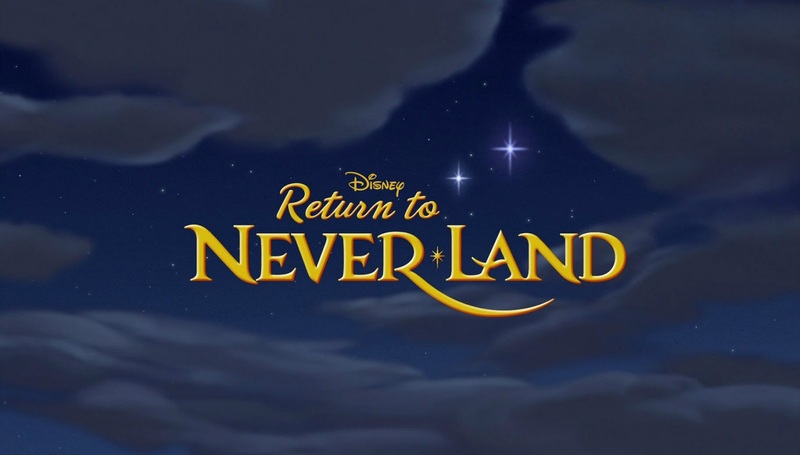 This film reprises songs from the original film, such as "The Second Star to the Right," while still adding in new songs. My only problem is I hate when movies (especially musicals) have someone singing over the scene who is not a character. I enjoyed the song "I'll Try," but I disliked that it was sung over the entire scene instead of Jane singing it herself. Only two songs were sung by characters, "Here We Go Another Plan" and "You're One of Us Now." I ADORED this sequel when it came out. I remember getting so excited when I first saw it (mostly because I had a crush on Peter Pan). Also, Lion King 2, Beauty and the Beast: the Enchanted Christmas, Aladdin and the King of Thieves, and (surprisingly) Cinderella III are all pretty good sequels. "This was pretty good, though certainly not my favorite... I think I liked the ending more than anything. Personally, though, I think The Lion King II is the best Disney sequel of all time and the rest are just okay. (Wait, hold on. Little Mermaid II is also acceptable. Other than that, they are just okay.)"